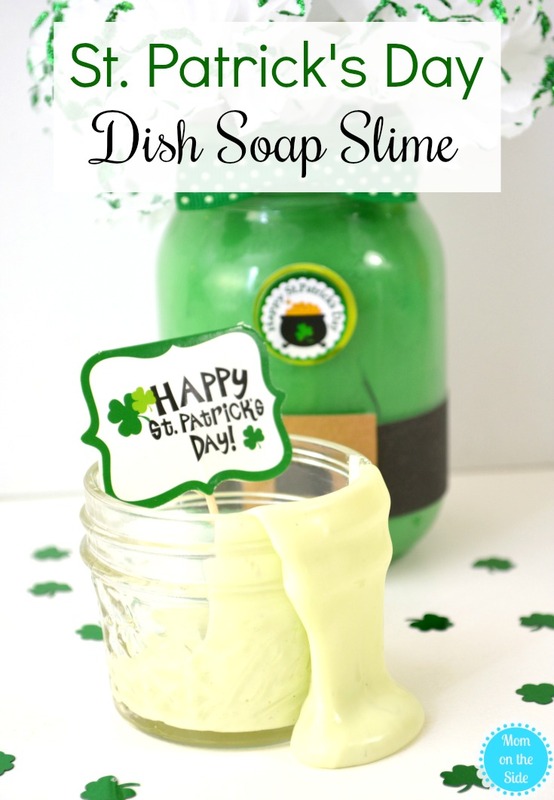 Just two ingredients stand between you and this DIY St. Patrick’s Day Dish Soap Slime! A safe slime for kids to play with and one that doesn’t have to be enjoyed only on the holiday. 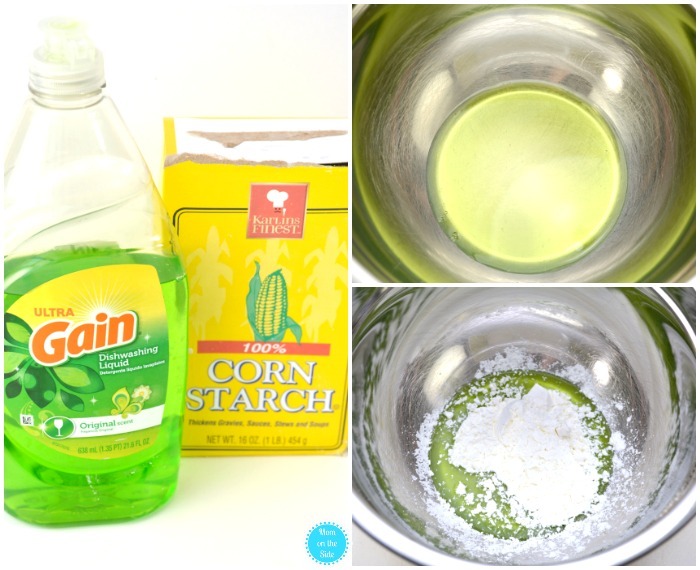 First, add 3 tablespoons of green colored dish soap to a bowl. Next, mix in 4 tablespoons of cornstarch. Stir the mixture until it reaches a doughy consistency that is hard to stir. If the dough is too sticky to the touch add another tablespoon of cornstarch a little bit at a time. Work it in with your hands until you have a cross between silly putty and traditional oozing slime. 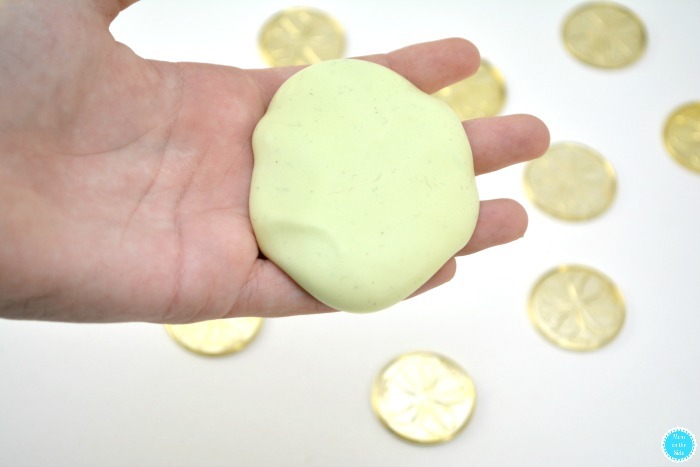 As you play with the dish soap slime it will feel like silly putty, but letting it sit for a little bit with turn it into more of a slime consistency. If you want to try store the slime, place it in an airtight container. When you open it again you may need to add dish soap or cornstarch depending on if it’s dry or runny. 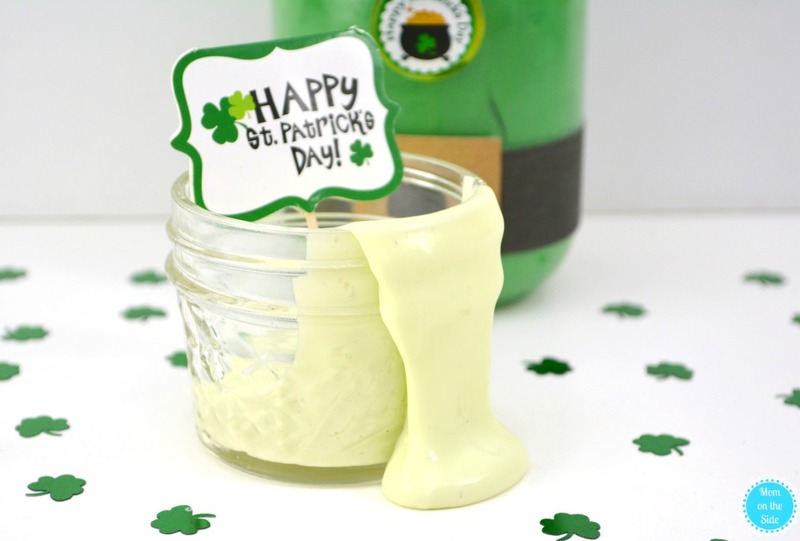 You could also print St. Patrick’s Day Cupcake Toppers and turn these into a gift for your kids to enjoy after a dinner of Corned Beef and Cabbage.